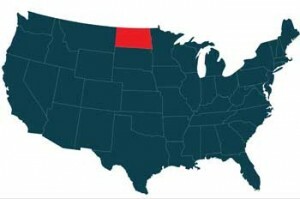 The statutes which govern the use of most Emergency Vehicle Lights in the state of North Dakota are enshrined within Title 39 of the North Dakota Century Code. Divided into three classes, as defined by Subsection 2 of Section 39-01-01 of the Century Code, authorized emergency vehicles are required to display flashing lights in colors, or combinations of colors, that are specified for each class of emergency vehicle within Section 39-10-03 and its subsections. Use of flashing lights, visible up to five hundred feet, is required by authorized emergency vehicles when seeking exceptions from North Dakota traffic and highway law during performance of emergency duties. Those exceptions are defined within the provisions granted for each class of authorized emergency vehicle as described within Section 39-10-03. What follows is a specific breakdown of common emergency vehicle categories and which Emergency Vehicle Light colors are required or accepted according to North Dakota state law. Pursuant to Section 39-01-01 of North Dakota’s Century Code, vehicles operated by or under the control of law enforcement officers (whether municipal, sheriff, or possessing the authority to enforce the statutes within Title 39) are defined as Class A authorized emergency vehicles. As such, they are required to display red flashing lights or a combination of red and white flashing lights and light bars, as outlined in Section 39-10-03. Additionally, a law enforcement vehicle that is “otherwise a Class A authorized emergency vehicle” may display a flashing blue police light. While involved in a highway traffic stop, law enforcement vehicles are also allowed to use amber lights with the purpose of directing traffic near the incident. Also defined within Section 39-01-01 as Class A authorized emergency vehicles are those owned by fire departments operated by a government entity. Like police vehicles, they are required to display red flashing lights or a combination of red and white flashing lights. A government-operated fire vehicle may also display a flashing blue light, according to the provisions within Section Section 39-10-03. Fire vehicles operated by a volunteer fire department are defined by Section 39-01-01 of North Dakota’s Century code as Class C authorized emergency vehicles. According to Section 39-10-03, such vehicles are required to display flashing blue and white lights when responding to an emergency during which they may be required to disregard speed limits or regulations governing direction of travel and turning. Listed in Section 39-01-01 as Class A authorized emergency vehicles, ambulances are required by the provisions within Section Section 39-10-03 to display either a red flashing light or a combination of red and white flashing lights. Like police and government fire vehicles, an ambulance may also display a flashing blue light. Described in Section 39-01-01 as “wreckers,” tow trucks are defined as Class B authorized emergency vehicles within North Dakota’s Century Code. Class B authorized emergency vehicles must display an amber and white light during performance of emergency duties, particularly when seeking the exceptions granted to them in Section Section 39-10-03. Construction vehicles have the distinction, within the North Dakota Century Code, of not being defined within the authorized emergency vehicle class definitions in Section 39-01-01. Instead, they are described within Section 39-21-50 as part of a category of “slow moving vehicles required to display identification emblem” but an allowance is made for the use of a rotating amber light, as authorized for Class B emergency vehicles within Section 39-10-03, in place of the emblem. Utility vehicles are not specifically described within the language of the North Dakota Century Code or Administrative Code. 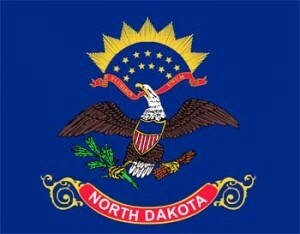 The North Dakota Department of Transportation’s Temporary Traffic Control Guidelines for Utility Work state that high-intensity and rotating lights may be used by utility vehicles to direct traffic around a work zone on a temporary basis, but the guidelines do not specify coloration. It is advised, within the guidelines, to contact local authorities for information regarding local ordinances which pertain to the operation of utility vehicles in traffic. In the definition of Class B authorized emergency vehicles within Section Section 39-01-01 of the Century Code, it is stated that Class B includes “such other emergency vehicles as are authorized by the local authorities.” Such vehicles would be required to display amber and white lights, according to Section 39-10-03, if authorized by those authorities. Pilot vehicles, unlike most emergency vehicles, are not described within the North Dakota Century Code but are regulated by Title 38 of the North Dakota Administrative Code. It is stated in Section 38-05-02-01 that, when pilot vehicles are required, they must display a rotating amber light mounted on the highest possible point of the pilot vehicle. Motor vehicles operated by private security companies are not listed or defined among the authorized emergency vehicles within the North Dakota Century Code. They are only briefly mentioned within the North Dakota Administrative Code, in Chapter 93-02-02.1 where the law prohibits close emulation of imagery associated with law enforcement vehicles, but makes no mention of a color or configuration of emergency lights. If authorized by local authorities, pursuant to the definition within Section 39-01-01 of the North Dakota Century Code, private security vehicles may qualify as Class B emergency vehicles in order to display amber and white strobe lights as defined in Section Section 39-10-03. As such, it is advised that the operators of such vehicles contact local authorities for information on relevant ordinances.